Great voices. Effective and to the point. Well done team, excellent podcast. I love Conspiracy Theories too. 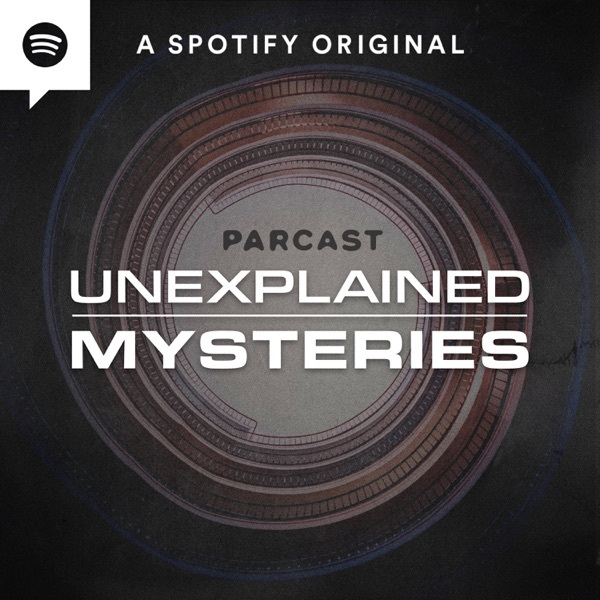 Hi Unexplained Mysteries fans! If you love political intrigue, history, and clandestine operations, you're going to love our new podcast, ESPIONAGE. In this clip, we introduce the story of Julius and Ethel Rosenberg, American citizens who spied on behalf of the Soviet Union, giving them access to technology that would alter the balance of the Cold War. To hear the rest of this episode, subscribe to ESPIONAGE on Spotify, or wherever you listen to podcasts! Thank you for all of your support! Lourdes Water - A Holy Cure? On the hunt for the real location of Eden, Molly and Richard use biblical text as a map to locate where the Garden may have originally been located. The Middle East and South America are definitely possibilities for this paradise of religion and myth.&nbsp;<br><br>Sponsors!<br><br>Audible - Get 3 months of Audible for just $6.95 a month by going to Audible.com/UNEXPLAINED or text UNEXPLAINED to 500 500. The Garden of Eden - Faith, fact, or fiction? Happy Thanksgiving Unexplained Mysteries fans! We hope you enjoy this sneak peak of our new podcast, Assassinations, where we examine history’s most dramatic deaths. If you enjoy this episode and want to listen to part two right now, subscribe to ASSASSINATIONS wherever you listen to podcasts!<br><br><br>"Loner. Drop out. Marine. Defector. Husband. Father. Lee Harvey Oswald was all of these things, but on November 22 1963, he came to only be known as the man who killed President John F. Kennedy." What is the science behind the way Tarrare ate the way he did? Most people wouldn’t consider eating 12 whole eggs at once possible, but in 1700s France, Tarrare was an anomaly. Competitive eaters today still can’t compare to this reigning king of bizarre eating.<br><br>Sponsors!<br><br>Parcast - We now have merch for sale! Head to Parcast.com/Merch now! He was known as the Hungriest Man in history, eating his way through corks, stones, live animals, and by swallowing an entire basketful of apples one after the other. Was he the victim of a strange disorder or just meant to be a competitive eater? In Part II, Molly and Richard discuss what might have caused Tarrare’s strange affliction in 1700s France.<br><br>Sponsors!<br><br>Amazon Prime - Season 1 is available now. Watch the New Season of Lore out now, only on Prime Video. A millionaire investor goes missing. Who is responsible? We explore the chief suspects behind Lowenstein’s disappearance.&nbsp;<br><br>Sponsors!<br><br>Amazon Prime - Season 1 is available now. Watch the New Season of Lore out now, only on Prime Video.